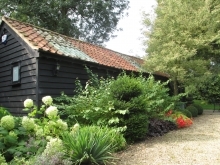 Existing redundant single storey barns have been converted over three phases to provide additional reception rooms and kitchens. Historic detailing to preserve the integrity of the existing barns has been combined with contemporary glazed screens and high specification finishes, providing stunning open plan spaces. 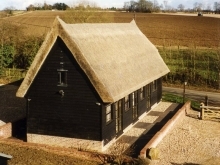 In particular, the conversion of the large 4 bay barn provided a rare opportunity to express the original volume of the barn with no additional floors or partition walls. 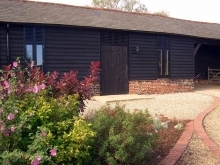 The provision of folding sliding doors to existing structural openings connects the barns with the original farm yard which in turn has been completely remodelled and landscaped to include a family pool.